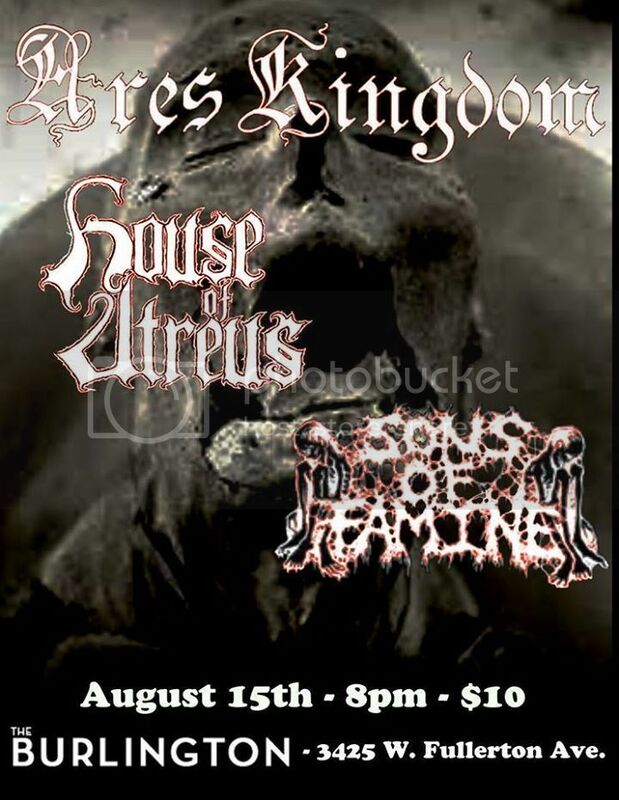 Lee’s Summit, MO - Kansas City's death/thrash metal band Ares Kingdom has announced that rhythm guitarist Doug Overbay is taking an indefinite hiatus from the band in order to address health issues. The band is continuing as a three piece with Alex Blume - vocals/bass, Mike Miller - drums, and Chuck Keller - guitars. The line-up change will have no effect on any upcoming shows. The band is currently in post-production with their new album, "The Unburiable Dead" at their own Very Metal Sound studio in suburban Kansas City. Release is scheduled later this year through NWN! Productions in LP, Die Hard LP, CD, and picture disc formats. 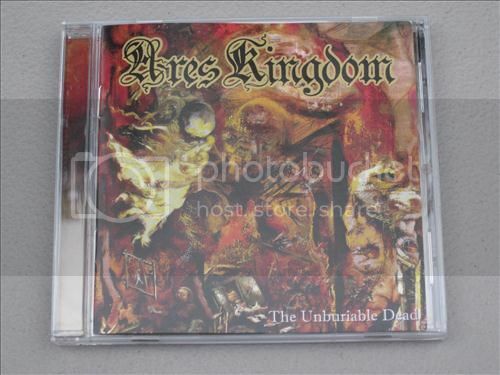 Ares Kingdom formed in 1996, the year following the end of Mike and Chuck's previous band Order from Chaos. AK’s first four years were spent as a two-piece. In 2000, Doug joined as bassist, followed soon by Alex as vocalist. In 2006, Doug switched to rhythm guitar while Alex assumed bass duties. The band signed to NWN! Productions in 2004 and has released two full-length albums, "Return to Dust" (2006) and "Incendiary" (2010), plus a compilation CD "Firestorms and Chaos" (2008), an album of covers entitled "Veneration" (2013), and two 12" maxi singles, “Firestorm Redemption” (2006) and “Failsafe” (2007). 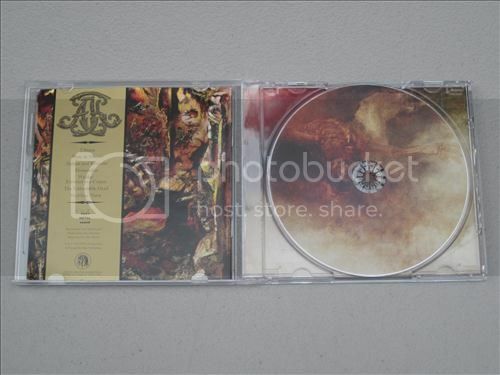 In addition to their upcoming third full-length, "The Unburiable Dead," the band is set to release a special live picture disc entitled "Chaosmongers Alive: 8/21/2006" as part of NWN! 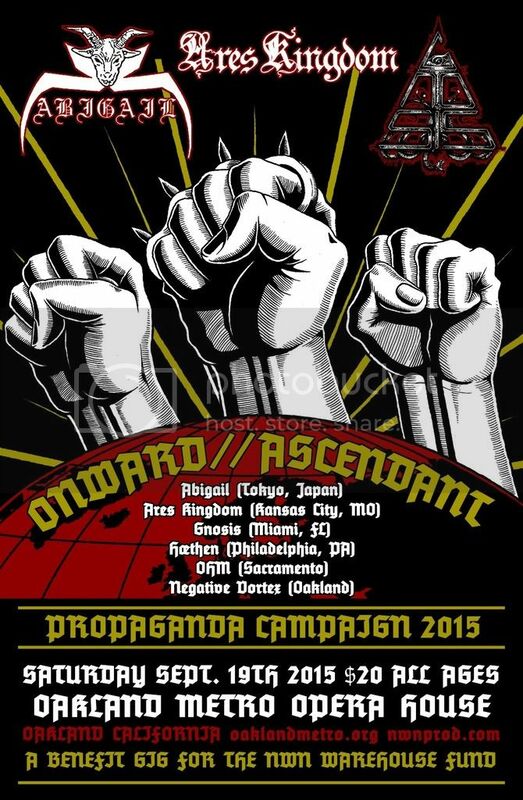 Productions' Onward // Ascendant warehouse fund campaign. Time has come to unveil the cover of our new album, 'The Unburiable Dead.' 30.7/15: CD layout is finished, NWN making one last inspection before sending to the plant. Out in early September. LPs will follow, depending on the speed of GZ. Last edited by S.D. Plissken on Mon Aug 10, 2015 4:59 pm, edited 1 time in total. 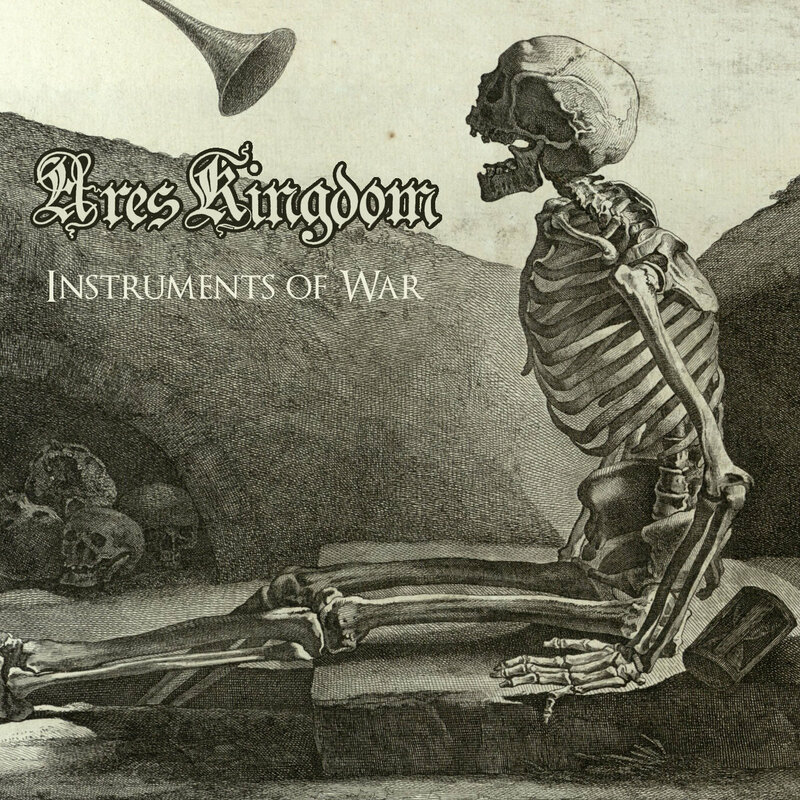 With much of its musical pedigree having originated and developed from its members’ direct and indirect connections to the legendary Order From Chaos, Ares Kingdom has once again demonstrated its uncanny ability to successfully intertwine exceptional songwriting and musicianship with superior thematic and lyrical content. As with their prior releases, the seven tracks on “The Unburiable Dead” are relentless, scorching examples of metal fire and blood influenced not singularly from one, but instead from several sub-categories of black/death/thrash metal. Thematically, the lyrics examine and reflect the world-shattering conflagration of the Great War for Civilisation (1914-1918) in brutally stark and agonizing, but equally artful terms. With the opening track, “Ubique” (Latin for “everywhere” and the motto of Britain’s Royal Artillery), the album traces the origins of the war before moving on to reflect the naïve optimism of the war’s early combatants with “Nom de Guerre” and the breakdown of the original ‘war of movement’ into the deadly stalemate and attrition of fortifications and trenches with “Salient and Redoubt.” The fourth track, “Demoralize,” reflects the waste and futility endured by both sides, which is followed by “Writhe: Fettered to a Corpse,” the album’s lone instrumental track with its title derived from a Hindenburg-attributed quote. The final two tracks, “The Unburiable Dead” and “Stultifera Navis (Armistice and League),” recount the final stages of the war, first from the soldier’s entrenched point of view as it lurches to an end, and then with the outbreak of joy and relief on the homefront upon its conclusion, which was ironically followed by the disastrous peace process that ensued. Killtown Bookings presents the final routing for “Firestorms over Europe” w/ ARES KINGDOM (USA) / PENTACLE (NL)! The tour will be making the streets of Europe unsafe from Friday 4th to Sunday 20th November! 15 shows in 17 days! Ares Kingdom will commence the tour with a performance at Nuclear War Now Fest in Berlin – continuing to Dresden to team up with Pentacle at the Lawless Darkness festival playing alongside bands like Dead Congregation and Incarceration. The package will also perform at Rotterdam Deathfest alongside bands like Gorguts, Vader and Hate Eternal. So look out as the veterans of death sweep across Europe like a firestorm! Friday 11th November: Show needed! Thursday 17th November: Show needed! In anticipation of the Spring 2019 release of our new album, 'By the Light of Their Destruction,' we are releasing four online-only retrospective EPs every couple of months beginning October 1, 2018. These EPs will feature specially-selected tracks from our discography - including albums, singles and compilations - along with previously unreleased live soundboard tracks recorded at the Metal Threat Fest in Chicago in July 2016. The first, titled 'The Dust of Ages,' is now available. Others will follow every couple of months. 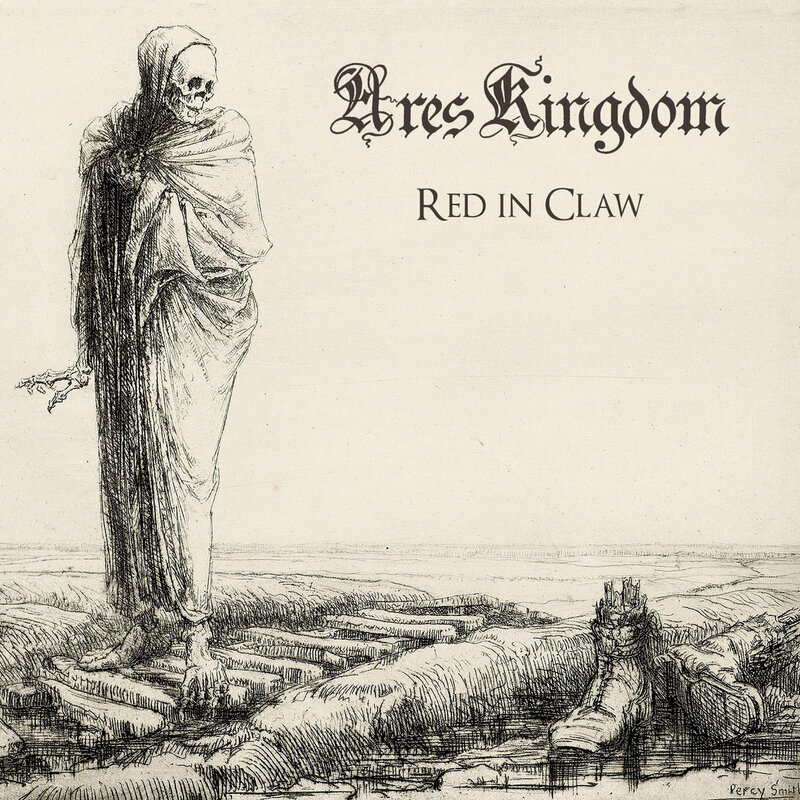 Ares Kingdom - 'Red in Claw' online only EP AVAILABLE NOW! Each of the four EPs features specially selected tracks from our discography - including albums, singles, and compilations - along with previously unreleased live soundboard tracks recorded at the Metal Threat Fest in Chicago, July 2016. Instruments of War is the third of four online-only retrospective EPs, bringing together all AK instrumentals from 1996-2015 in a single onslaught! For download or free streaming.